TORONTO — From time to time in sports a team comes along that creates something special and a lasting impression. 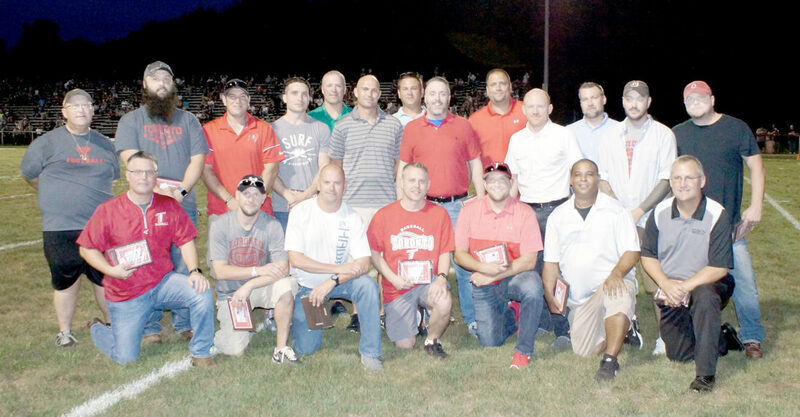 Toronto High School recognized one such team during a ceremony at halftime of Friday’s football game against Edison when the 1998 state champion baseball team was one of five members inducted into the school’s athletic hall of fame — becoming the first team to receive that honor. “It is great to see everybody again,” Matt Morrison, now the principal at Edison and the coach of the 1998 team, said. “It is a very special evening. I would like to thank everybody that made this evening happen. These guys deserve this. They deserve the success that they had. This was the number one thing in their life — playing baseball. The team is the only one to capture a championship for the Red Knights, defeating Sidney Lehman 9-2 in the Division IV final to wrap up a 26-8 campaign. 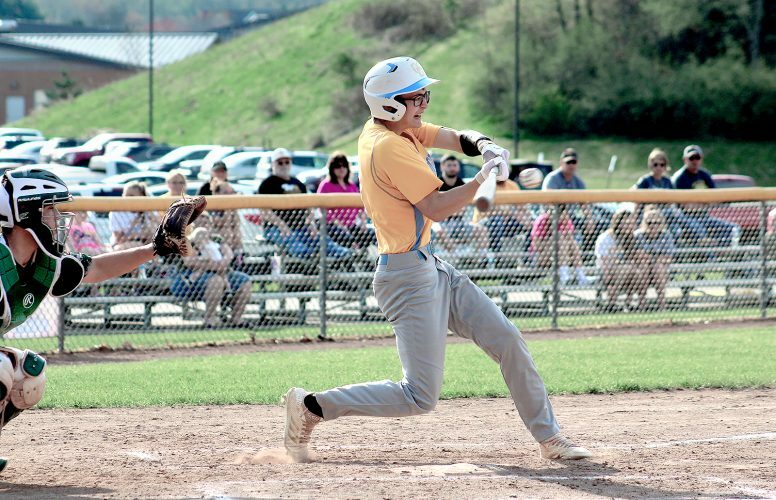 Current Red Knights baseball coach Brian Perkins was an assistant on Morrison’s staff at the time, and tries to instill what he learned from that group into the teams he coaches today. “That team that year set a standard that still stands with our program to this day,” Perkins said. “Coach Morrison brought a lot when he came in. I got the chance to come in with coach Morrison and have tried to carry on the tradition of Toronto baseball. This team here is a very special team that will always be remembered. One of the most important things I remember about this team was they cared about each other. Not just about winning, but for one another. One did not have to look very hard during the festivities to see the members of that team still hold a special bond with one another. According to Rickey Coil, another one of the seniors on the 1998 team, the induction means a lot. What is the most memorable moment from the championship run? For Zak Chambers, the third senior in 1998, it is pretty simple. It was more than just the baseball team that got the hall of fame nod. ¯ Paige Manning Blasko, Class of 1982, a 10-time letter winner in three different sports (track, basketball and volleyball) for the Red Knights. ¯ Ami Hritz, Class of 1997, an eight-time letter winner in track and basketball. ¯ Ed Robinson, Class of 1981, a standout in football, baseball and basketball and former Toronto High School principal (2010-2012). ¯ Danny Williamson, Class of 1975, a three-year letterman in football and track, as well as two-year letterman in and member of the original Toronto wrestling team. The Toronto Athletic Hall of Fame was founded in 2000 and includes 33 members.